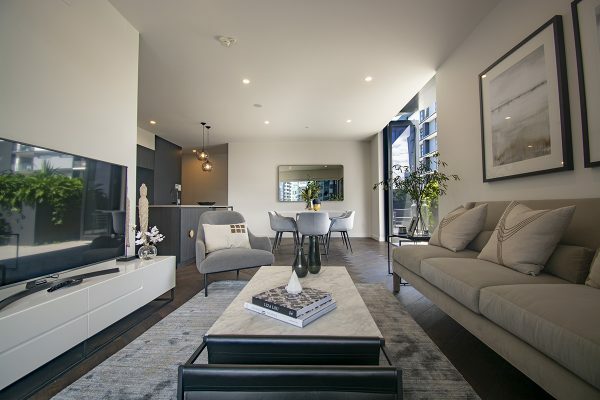 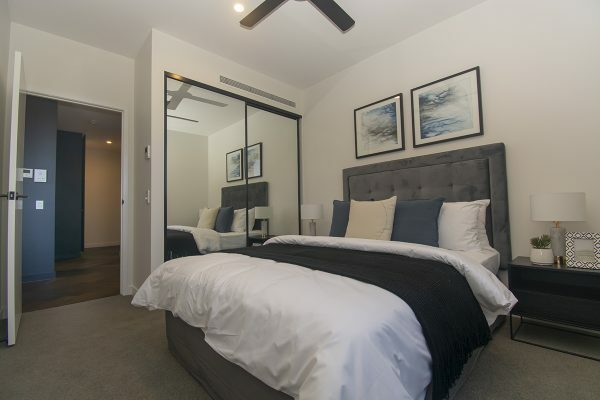 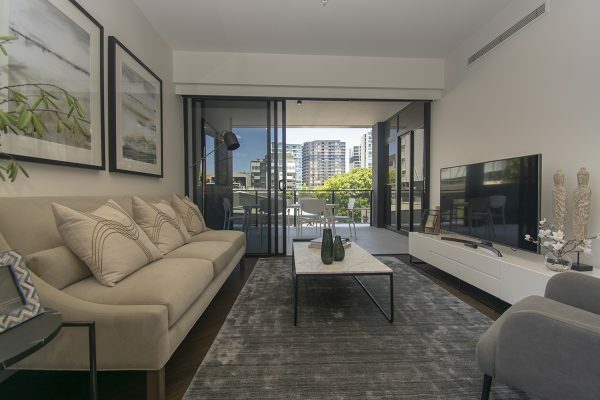 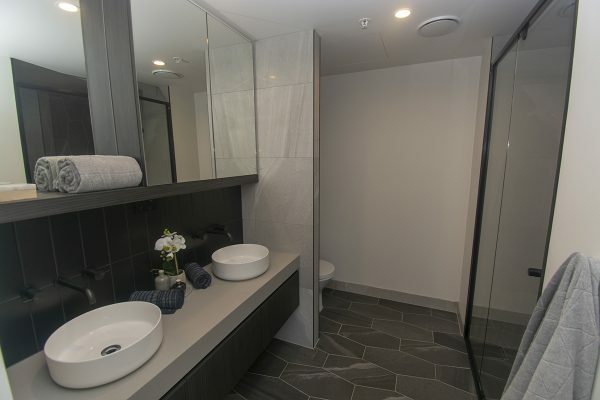 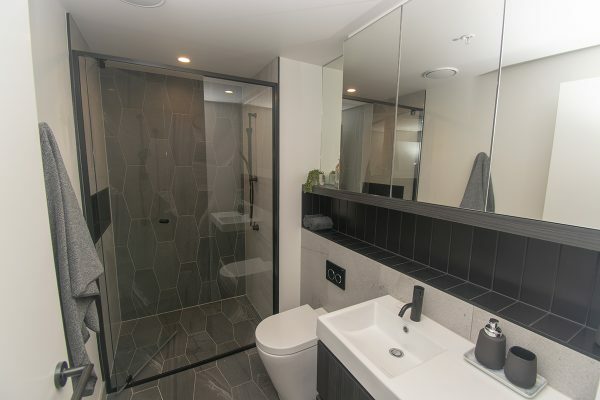 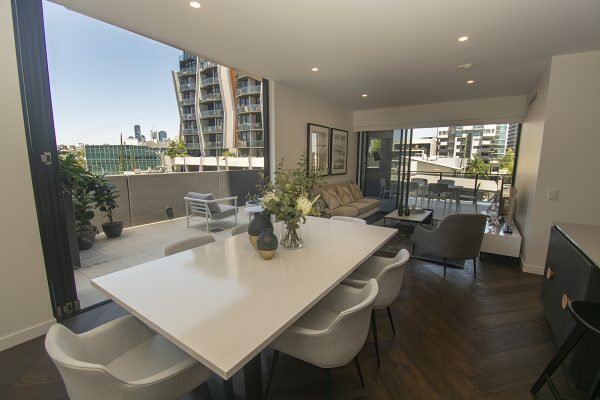 This contemporary designed 3 bedroom apartment offers an outstanding opportunity to purchase a stylish and luxurious abode right in the heart of the exciting Newstead precinct. 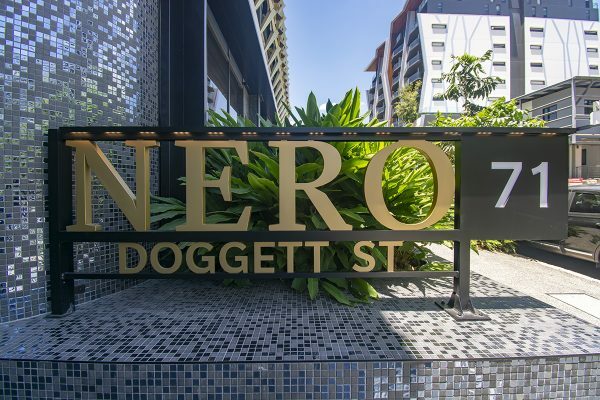 Apartment 306 in the recently completed “Nero” offers additional and expansive living areas unique to this one only floor-plan in the complex including a huge 62m² entertaining terrace. 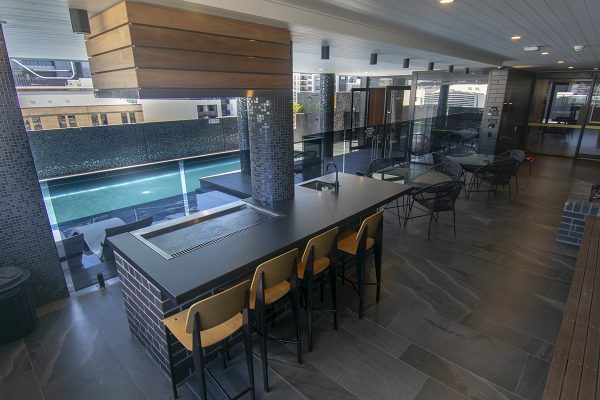 Full height floor-to-ceiling doors and windows blend indoor and outdoor living seamlessly and convey an effortless sense of space and light. 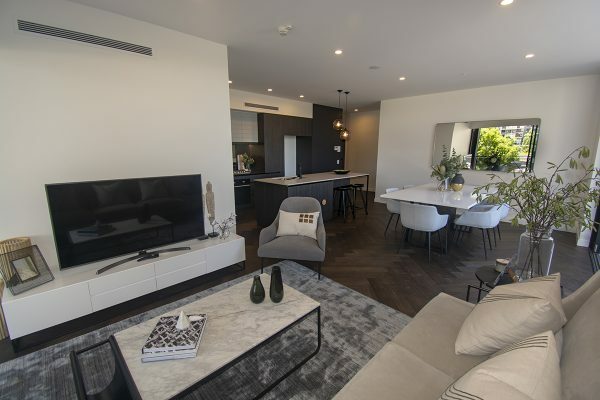 The open floor plan combines the dining, kitchen and lounge areas to create a spacious living hub. 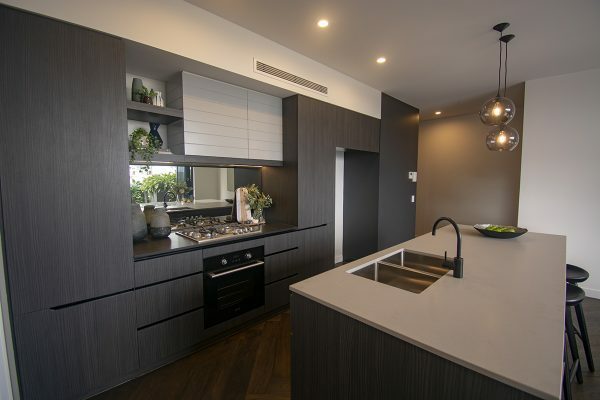 Quality European appliances, stone bench tops and feature timber cabinetry that provide substantial storage options complete the kitchen. 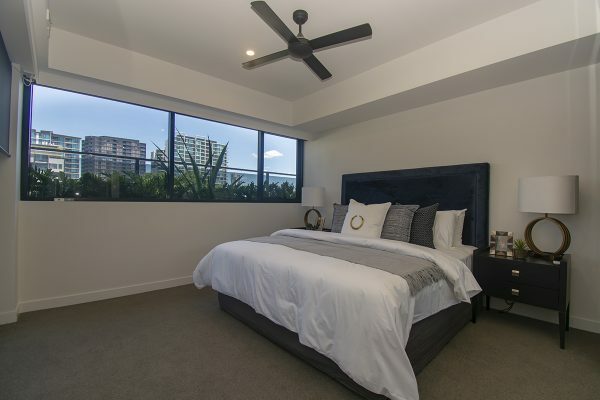 Accommodation is provided by three generously-sized bedrooms, all carpeted and with built-ins. 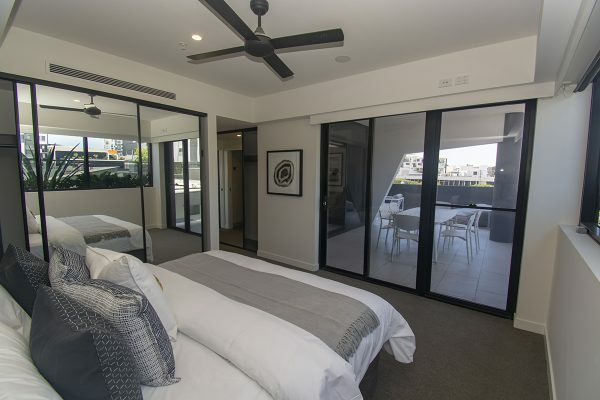 The master bedroom features a large walk-through robe and a modern ensuite, whilst sliding doors allow access to the terrace. 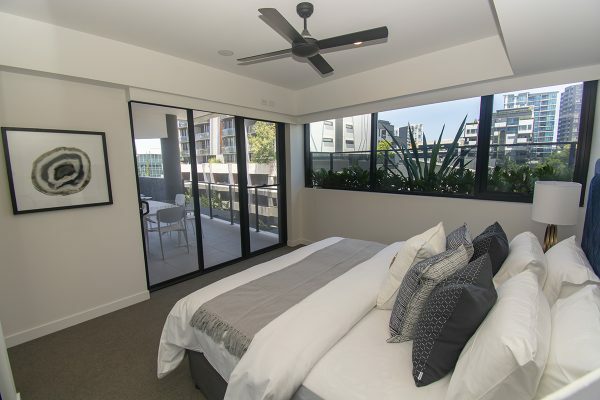 The 2nd and 3rd bedrooms also have their own separate access onto the spacious terrace. 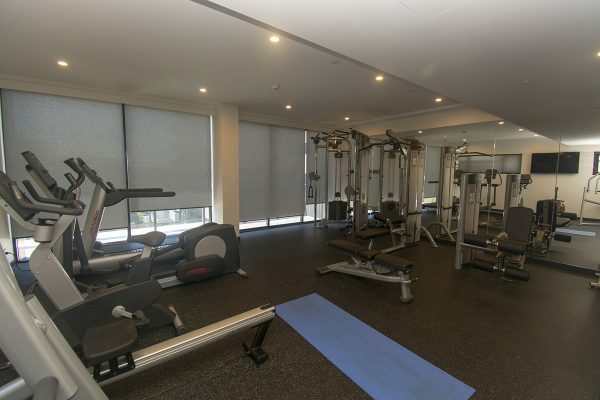 A landscaped recreational space at level 3 offers residents a high level of amenity including pool, BBQ, gym, sauna and steam room facilities. 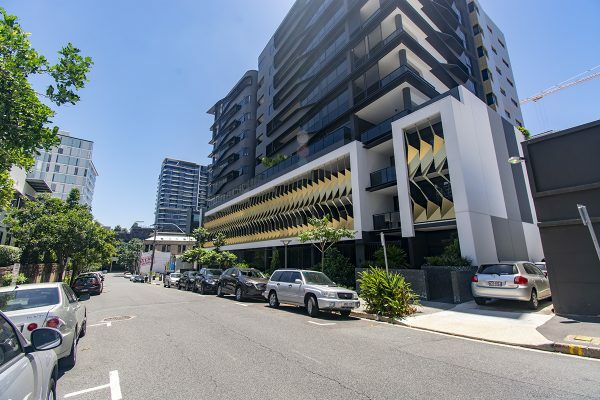 There is also two secure side by side car parks plus a large basement storage cage. 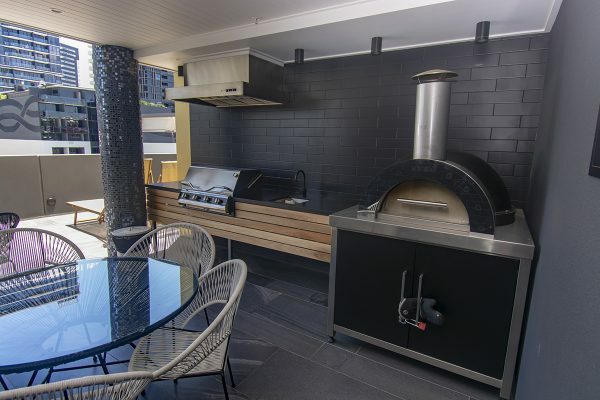 An added bonus is that all the Italian furnishings are to be included in the sales price. 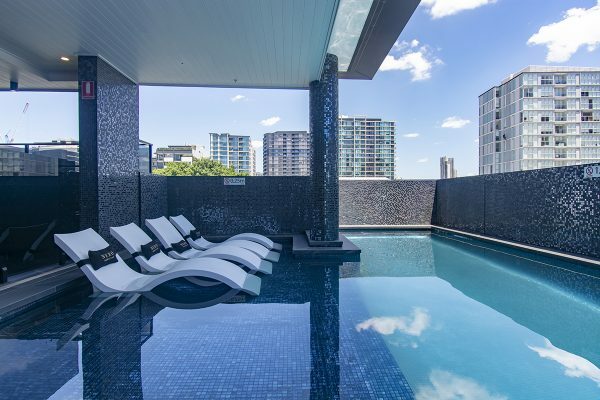 Today Newstead is one of Brisbane’s most desirable and vibrant suburbs to live and play. 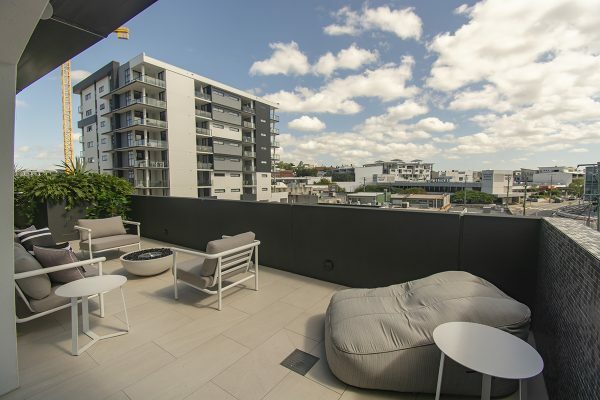 Only 2km from the Brisbane CBD and home to an array of cafes, restaurants and popular bars. 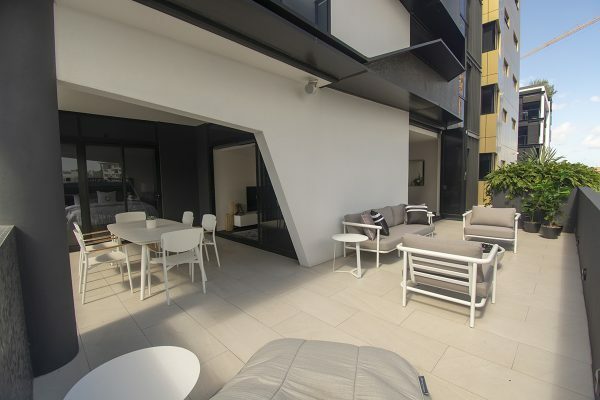 The new Gasworks shopping and dining precinct is a short stroll away, as is the vibrant inner-city hub of James Street. 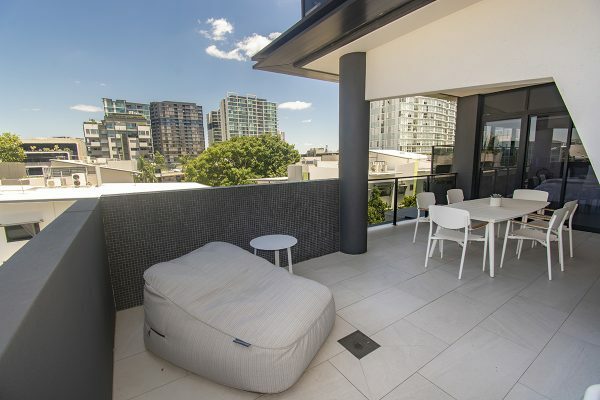 For more information or to organise an inspection please contact the team from Drakos Real Estate today.